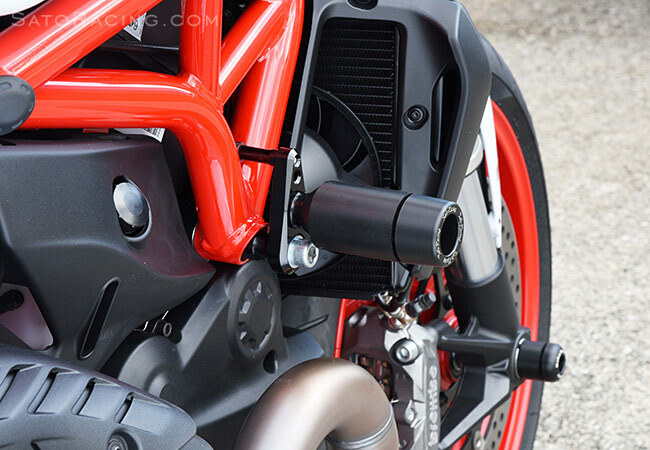 The Ducati Monster 1200 and 821 need protection that works with the naked muscle bike styling. 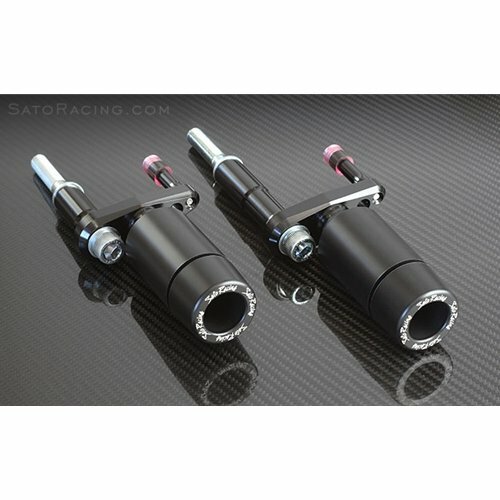 Sato Racing delivers these specially designed frame sliders with custom CNC machined billet aluminum mounting brackets that are anodized black. The frame sliders themselves are made of tough, low friction, abrasion resistant Delrin, with a special relief for energy absorption in an impact. The billet brackets offer two mounting points to the frame for increased strength. Spacers were carefully chosen to optimize the length of the sliders, minimizing the risk of a flip over. Just one of a wide range of accessories for the Monster 1200 and 821 models from Sato Racing!